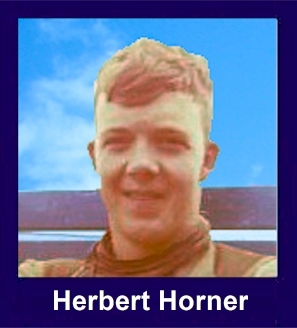 The 35th Infantry Regiment Association salutes our fallen brother, SP4 Herbert David Horner, who died in the service of his country on June 5th, 1970 in Binh Dinh Province, Vietnam. The cause of death was listed as Booby Trappped Grenade. At the time of his death Herbert was 18 years of age. He was from Kingsport, Tennessee. Herbert is honored on the Vietnam Veterans Memorial at Panel 9W, Line 14. The decorations earned by SP4 Herbert David Horner include: the Combat Infantryman Badge, the Bronze Star, the Purple Heart, the National Defense Service Medal, the Vietnam Service Medal, the Vietnam Campaign Medal and the Vietnam Cross of Gallantry with Palm Unit Citation. Known as "Red" he was a member of the 2nd Platoon. Red was wounded on June 4, 1970 and expired the next day. The incident was at BR263738, 30 km NE of Suoi Doi Afld. For heroism in connection with military operations against an armed hostile force in the Republic of Vietnam. Private First Class Horner distinguished himself while serving as a Rifleman with B, 2/35th Infantry. On 20 December 1969, Private First Class Horner was manning a forward observation post when he observed three NVA soldiers moving past his position. Remaining silent, he allowed them to advance within 15 meters of his post before taking them under fire. Private First Class Horner then laid down a heavy volume of fire, allowing the remainder of his element to advance and drive the enemy from the area. Private First Class Horner's personal bravery, outstanding performance, and exemplary devotion to duty are in keeping with the highest traditions of the military service and reflect great credit upon himself, his unit, and the United States Army.